A combination of negative developments has put at serious risk the viability of Vietnam's rice bowl as also the source of most of its seafood exports. Richard Cronin, a Mekong specialist at the American think-tank Stimson Center. With every passing year of environmental degradation, land loss in the Mekong Delta assumes progressively more grave proportions. Forget reversing or stopping the damage, even slowing the process gets more and more difficult. The two most critical sources of the phenomenally productive Mekong River system, Vietnam's Mekong Delta and Cambodia's Tonle Sap (Great Lake), which connect symbiotically during annual monsoon floods, took four or more millennia to develop. But, in the space of a few decades, the Delta has been ecologically degraded to such an extent that its very existence is threatened. The most optimistic prediction is that the Delta is certain to shrink by 30 percent in the next couple of decades, leaving the fate of the remaining 70 yet to be determined. The future of the Mekong Delta is far bleaker than is realized by most of the 18-19 million people who farm, fish and carry on other occupations in the region. Several mega-negative developments have combined to seriously undermine the viability of Vietnam's "rice bowl" as also the source of most of its seafood exports, both wild-caught and farmed. The most apparent threat is the rising South China Sea, which has already inundated enough of the Delta to cause uncounted thousands of farming and fishing families to abandon their land and move to other parts of the country. But the most serious threat is that land is eroding and sinking faster than the sea is rising. The cause is the unconstrained construction of upstream hydropower dams and unsustainable land use practices by the Delta's inhabitants, especially the destruction of coastal mangrove forests, sand mining, and the rapid depletion of underground fresh water aquifers. Experts warn that in the not too distant future the shrinking of the Delta's land mass, combined with the rise of more frequent and more violent tropical storms caused by the warming of sea water, could inflict catastrophic flooding on Delta urban centers and even Ho Chi Minh City. The scale of destruction could match or exceed that of the flood that ravaged the Mississippi Delta city of New Orleans during Hurricane Katrina in August 2005, and for very similar reasons. Dams are useful for generating electricity and irrigating farmland, but they block the life cycles of the migratory fish species and their reservoirs trap the nutrient-rich sediment that is critical to renewing the fertility of lowland soil and keep the sea at bay in the Mekong Delta. On the Mekong mainstream and major tributaries, numerous dams already built are having significant impact on flows, fisheries and sediment transfer. China's massive cascade of six large to mega-sized dams on the upper half of the Mekong (called the Lancang Jiang ("Turbulent River") is the single largest source of threat to the Mekong Delta. Even though it provides only about 16 percent of the river’s total annual discharge, the Upper Mekong is the source of more than half of the river’s total sediment load. The Lancang cascade is now estimated to be trapping as much of 90 percent of the suspended sediment that is vital to the survival of scores of commercially important species of wild migratory fish and the fertility of the Delta and the flood plains of Cambodia. While China's dams are having the most impact, Laos' Xayaburi dam, which is near completion, and dams on major tributaries, especially the so-called "3S Rivers" tributaries - the Sesan, Srepok, and Sekong, will exacerbate the problem. Likewise, Cambodia's recently completed Lower Sesan 2 dam now blocks the migration of as much as 17-20 percent of the total migratory fish population of the Lower Mekong Basin and significantly reduces sediment flows into the Tonle Sap basin and the Mekong Delta. The Cambodian government is still considering options for the Sambor Dam, at a point mid-way between the confluence of the 3S Rivers to the north and the Tonle Sap at Phnom Penh. Because at this location the river is slow moving and shallow, sediment would likely build up rapidly and greatly reduce the transfer of what little sediment flow is already left. The 18-kilometer long dam has been called a "fish-killer" because it would block the spawning and feeding migration into and out of the Tonle Sap, the "nursery" of the world's most productive inland fishery. The overall picture is grim. 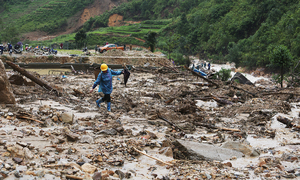 China's dams have already created a new sediment baseline. If all the proposed dams for mainstream and tributaries of the Lower Mekong Basin are built, 96 percent of the historical sediment flows would be trapped in the reservoirs, leaving just 4 percent for the Cambodian flood plains and the Delta. 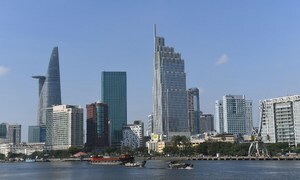 In November 2011, at the urging of Vietnam's then-Prime Minister Nguyen Tan Dung, the four country members of the Mekong River Commission (MRC) Council agreed to carry out "a study on sustainable management and development of the Mekong River including impacts by mainstream hydropower projects." Vietnam made the proposal after Laos refused to accept the outcome of the first test of the MRC's review protocol, when Vietnam, Thailand and Cambodia declined to "accept" the project on grounds of the alarming findings of a 2010 Strategic Environmental Assessment (SEA) of the entire set of nine proposed dams on the Lao and Lao-Thai stretches of the mainstream and another two in Cambodia. The MRC acknowledges that the scoping and planning phase of the study took three years instead of the normal one-year time frame, and that as a result data collection and engagement with stakeholders, including the affected public, were foreshortened. Instead of the planned completion by March 2016, the findings were not presented to the four MRC governments until February 2018. The study is highly complex and technical and defies easy analysis or summary. While the main rational for the study was to follow-up the SEA, and especially the cumulative impact of planned dams on fisheries, food security, and the Delta, the study seems to go further. It devotes much discussion, for instance, on assessing the net economic benefit from hydropower development and ways to both enhance the benefits and compensate for inequities among the four MRC countries in terms of transboundary costs and benefits. Rather than directly addressing prevailing concerns about the transboundary impact of dams the study sought to provide a data base and analytical framework for benefit-sharing and cost-sharing mechanisms, especially those with transboundary impacts, based on three kinds of criteria: resilience and vulnerability; sustainability; and sectoral and transboundary tradeoffs. While all these are important and relevant considerations, the Council study was carried out in a significant data vacuum as regards to the impact of reduced sediment flows. The Council study readily concedes that the status of dam development as of 2007 (M1) would be the preferred scenario for minimizing the impact on wild fisheries, sediment flows and other environmental services. It acknowledges that it will be very difficult to compensate for the fact that the poorest people will bear a disproportionate impact, especially regarding livelihoods and food security. 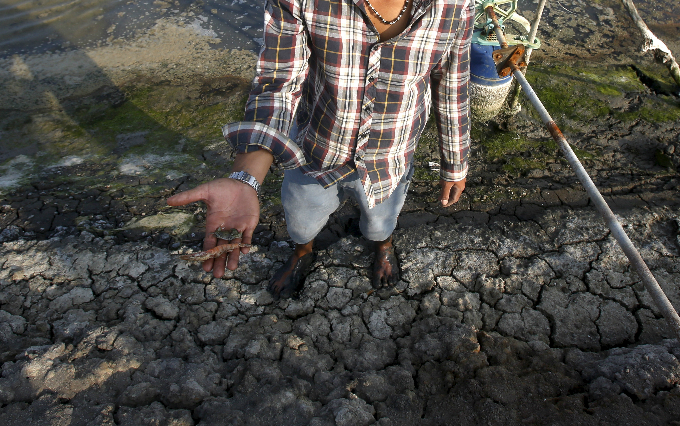 The study also accepts that "sediment losses are likely to demand serious investments to mitigate erosion and to maintain agricultural nutrients inputs, and that the combined pressure for adaptation is likely to be a driver of outmigration, which will have the effect of shifting social pressures into already stressed urban areas. Another important initiative, the $4.3 million two-year Mekong Delta Study was funded by Japan, the United States and other members of the "Friends of the Lower Mekong" donor group. Although this was an independent study, the final draft report is currently under review by the MRC. The MDS authors were charged with providing "a full understanding about impacts of proposed constructions on the Mekong River to natural environment and people, economy, society, and livelihoods of millions of people in the Mekong Delta.” The report falls short of fulfilling those objectives. As in the case of the MRC Council Study, the still unpublished MDS is said to be too technical and academic, and fails to adequately address the concerns of affected people and the full extent of the social and socioeconomic impact of upstream dams on the Delta. Likewise, while the study estimates that Cambodia and Vietnam will experience sediment loses respectively of 57.4-63.7 percent and 56.7-63.8 percent, it fails to explain the actual impacts on agriculture, fisheries and communities and what to do about them. No doubt the MRC Council Study and Mekong Delta Study can be usefully mined by planners, policymakers and civil society advocates, but neither provides much useful guidance for policymakers. 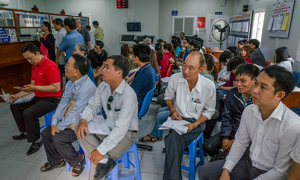 While there is little in the MRC study that provides any comfort to the Vietnamese government and Delta residents, several other recent studies have taken on the issue more forthrightly and provided more practical insights and policy recommendations. One study, a report by the Natural Heritage Institute (NHI) of San Francisco, California, entitled Sustainable Hydropower Master Plan for Xe Kong [Sekong] Basin in Lao PDR, was submitted to the government of Laos on February 18, 2018. The goal was to provide Laos with an alternative to more than a dozen dams higher than 15 meters that are under construction or in various states of planning and feasibility studies now proposed for the Xe Kong River, while still meeting its national energy objectives. 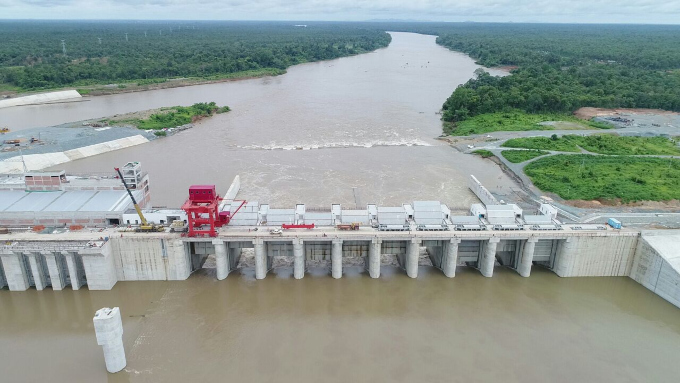 Cambodia's Chinese-built Lower Sesan 2 dam now blocks fish movement up the Sesan and Srepok rivers, but fish still have unimpeded access to the main stem of the Xe Kong. Thus the importance of preserving the river is that it is "irreplaceable for spawning of migratory fish" and that "it contributes more sediment to the Mekong Delta than any other" Lower Mekong Basin tributary. The most interesting aspect of the NHI master plan is its proposal to augment the power output of the 290 MW Xe Kaman 1 hydropower dam through the "deployment of floating solar photovoltaic panels that would be fully integrated with the hydropower powerhouse and operated as single unit." The study recommends prioritizing the deployment of floating solar panels on the about 15 percent of the Xe Kaman 1 reservoir, and to defer building the planned dams downstream on the Xe Kong itself. 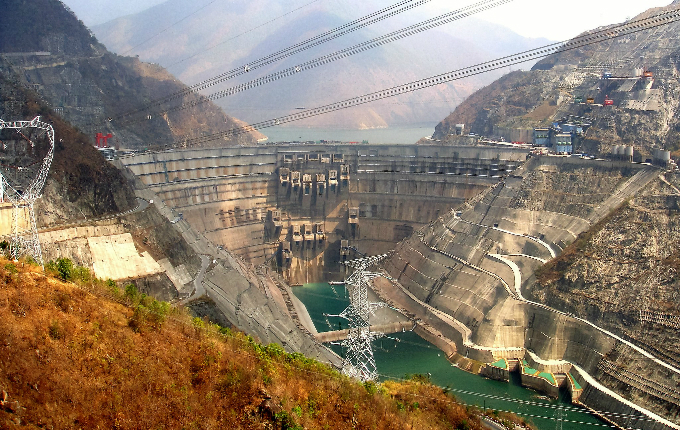 If and when further development of the Xe Kong basin is needed, the report calls for giving highest priority to the uppermost parts of the basin and that "the lowermost dams should not be developed under any circumstance because of their very large impacts." Proposals for cooperation and investments to reduce or compensate for inequitable transboundary impacts of hydropower dams are both non-starters, politically and practically. On the other hand, because of the rapidly falling cost of solar power technology the time may have come for augmenting the output of existing dams and reducing the need for additional ones by floating solar panels on existing reservoirs. Britain has just completed the deployment of the Europe's largest floating solar farm on Queen Elizabeth II lake near Heathrow International Airport. "Floatovoltaic" installations are springing up in the United States and Australia, and Japan is completing the world's largest floating solar array on the Yamakura Dam reservoir in Chiba Prefecture. China just installed a 40 MW floating solar farm on a manmade lake in Anhui Province. It would seem to be in Vietnam's national interest and that of the Delta to cooperate with the Lao government to carry out a feasibility study on the technical practicality, costs and benefits of the NHI proposal. *Richard Cronin is a Mekong specialist at the American think-tank Stimson Center. The opinions expressed are his own.